One of the many benefits of this strong vacation home market is that I get to test my theories on a daily basis. These theories were first penned when the market was in rough shape, which was just a few years ago in reality but so much farther away in the minds of 2018 buyers. The theory relating to the off-water lake access market over $1MM was simple. If lakefront homes were plentiful in the $1-2MM range, then off-water homes in same range would suffer. Why buy off water when the same price put you in the front row? In the same way, if $1-2MM lakefront homes were scarce, then off-water homes in the range would attract buyers. Lake Geneva real estate can be quite simple. Simple as it may be, the theory was difficult for many off-water sellers to understand. During those dark years, most off-water homes that sought to capture a $1-1.5MM sales price ultimately languished on the market and fell victim to the price erosion that is a hallmark of lengthy market exposure. Most of those homes ended up selling, but rather than finding buyers in that $1MM+ range, most of these homes sold between $900k and $1MM. Buyers rejoiced, sellers wept. Over time the entry level lakefront inventory dried up, leaving available only true cottages on small lots in modest settings. As that inventory shrunk, buyers turned their attention to the off-water homes that meant something. A slip, a view, a pool, some privacy. Maybe a combination of all of those. In the fall of 2016, I printed the sale in Loramoor for $1.625MM. Then another sale in Glenwood Springs for $1.1MM. Then, in 2017, a super high priced print with no slip in Oakwood Estates north of $1.2MM. In 2017, another in Maytag Estates in the same range. Then a sale in Fontana north of $1.3MM. The market was moving, and buyers were once again looking for off-water properties simply because the on-water options were so scarce. Last month, a new offering in this range. This one on Southland, or Black Point, as the tax records would show. 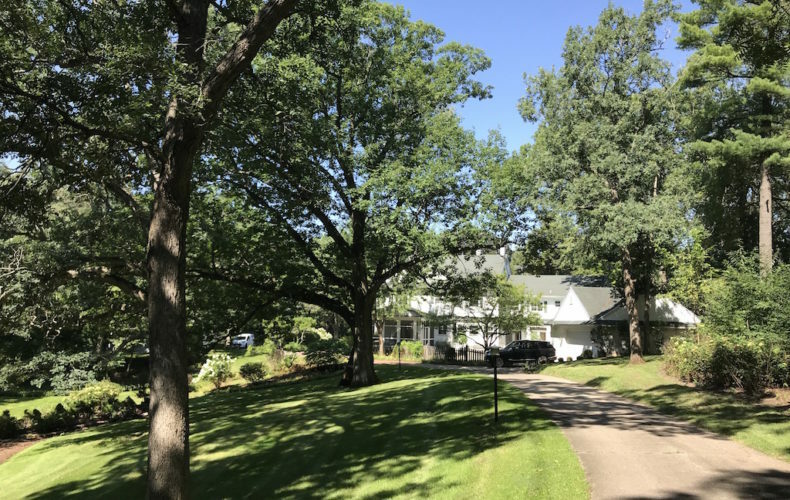 $1.699MM for a few acres of wooded bliss, some terrain, a pool and a slip, a large home with pedigree, outbuildings and more. This was a property that the market rarely offers, mostly because it has no true rival. There are locations where off water homes will sell upwards and north of $2MM, but those associations are rare and historically light on inventory. The Lindens, Black Point, The 700 Club, Loramoor, Glen Fern. These are the rare associations, made that way by decades of low inventory and highly polished homes. These are the associations that matter to this segment, and this particular home was among the most rare inside even unique settings. That’s why a buyer whom I was pleased to represent jumped. We closed on the house last week for full price, which is nothing to be ashamed of. In this context, full price was required, and full price was still less than the seller had paid for the home in the fall of 2011 when the market was in awful condition. To further prove the strength of this off-water market, consider the home that would come to market just a few weeks ago in the 700 Club. That home hit the MLS at $1.495MM and promptly received multiple offers before finally settling at a contracted price that is rumored to be far over the ask. The market doesn’t always love off-water homes over $1.5MM, but if you give the market something unique in a highly desirable setting, the buyers will find it. To this buyer who let me guide them through this curious segment of our vacation home market, I thank you. There’s an opportunity at this property to transform it into something without equal in our market, and I’m hopeful that the end reality matches your unique and exciting vision. The whole lake is special, we all know that. Every nook and cranny, whether our particular nook or our own favorite cranny, is unique and valuable. Some North Shore dwellers couldn’t fathom the horrors of living on the South Shore, and those South Shore owners would rather be dead than find their pier numbering 1-411. But there are universal bright spots, rare locations where the stretch is just right. The trees greener. The water bluer. One cascading landscape falling into the next, on and on, until the unique nature of it all turns to a different flavor, a different style, favored by someone else but not by everyone. These particular sections of the lake are sometimes obvious. Basswood. Snake. Creek. The lanes that offer up our best. But the other areas, those are more nuanced. I once had a client who could have owned anything he wanted on this lake, and it was a difficult push to get him to move from his lakefront house in Glenwood Springs. He loved that house. That area. Those streets. The way the lawn runs uninterrupted for 1800 feet, give or take. He learned to love what he knew, and when the chance to move on presented itself, bold and immediate, he paused. Because Glenwood Springs was where he felt most at home. This week, I closed on a hilltop house on Black Point. Black Point is just to the East of Majestic Ski Hill. It’s dark and it’s intimidating and it’s high. The Black Point Mansion once anchored the entire point, but is now relegated to the land on the West side of the point, and everything else has been developed into large lakefront and lake access parcels. The homes there are varied, but mostly vastly improved and manicured. Two years ago, a 1980s cedar house came to market for $1.395MM. It was a nice enough house positioned in a most incredible way on the top of the bluff that runs from deep under the water and up to this very tippity top. The house is surrounded by towering pines, the sort that create a most audible white noise whenever the wind rustles. Under the summer sun, the sweet aroma of pine sap is unavoidable and welcomed. The problem here was that the house just wasn’t nice enough to command that price. It was a nice house, sure, and the location was incredibly desirable, but the house lacked the sizzle that the market responds to. There’s a house in Lake Geneva that just came to market around $1.3MM, and that house looks as though it’ll sell quickly. The location is okay, not super unique, but quality. The house, however, has the interior sizzle that buyers clumsily rush towards. Fancy finished in this market always attract buyers, whether that’s a lakefront home, an off water home, or a primary home without any lake access at all. And so the house on Black Point sat. It caught the attention of a dear client of mine, but our lower priced interest was rebuffed by the seller. We watched it some more, enamored with those pine trees and that deep water slip. It should be noted that “deep water” is a way we describe slips, often. But in the context of Black Point the deep water is different. It’s really deep. Like immediately deep. Dropped your sunglasses off the end of the pier? A fish with large teeth, irridescent skin and a light dangling off its head in front of its eyes just ate your RayBans. The house, no matter that location and that slip and those two acres of pine trees, didn’t sell. Over time, the price was adjusted. Lower a bit here and lower a bit there. This spring, after the property was growing a bit weary, we bid again. That deal was negotiated to an end, and the cedar house on the top of Black Point sold this week for $950k. My client is pleased and excited, as am I. This is a special location, a prized location. There are others on the lake, some more special and more unique than the others, but this location, man. This location. Congratulations to the new owners. Once, I was in trouble with a seller. The seller was upset, but not upset like a seller gets when I leave a light on. Which, by the way, I tend to do. It’s like a puzzle, a prize, a riddle, each time different but always the same. A light, left on, somewhere. But this seller was more angry than that, seriously angry, and not because I had left a light on or eaten a Reeses Peanut Butter Cup out of the pantry, which, of course, I never, ever, do. This time the seller was angry because I listed her home in the MLS under “Linn Township”. She said her home was in Lake Geneva, that no one looks for a home in Linn Township. That Lake Geneva is everything and Linn Township is nothing. Where is Linn Township? No one knows. She was upset. This is not entirely uncommon, and if you’re a buyer I’m guessing you’ve possibly struggled with this distinction. The City of Lake Geneva is one municipality. The Town of Linn is another. Where the confusion comes in is the mailing address for Linn Township homes is Lake Geneva, WI. So, my confused seller from the example above was indeed correct, that her property had a Lake Geneva address, but it physically wasn’t in the City of Lake Geneva. Making matters worse, the Town of Geneva (think Lake Como, Geneva National, etc) also has a Lake Geneva mailing address but isn’t at all the City of Lake Geneva. Of course none of this matters if Neumann was right and zip codes are meaningless. 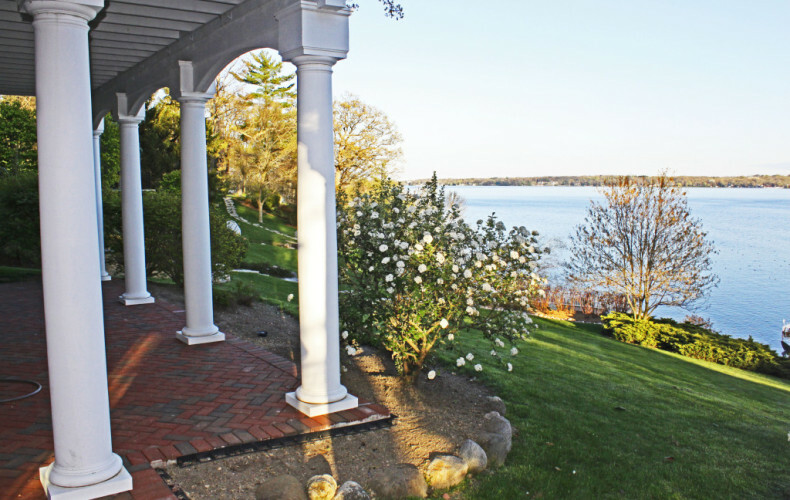 Linn Township, whether confused for the City of Lake Geneva or not, is, without any doubt, the biggest player in our Lake Geneva lake access vacation home market. Linn has loads and loads of lake access communities, in fact, far more than all of the other lakefront municipalities combined. I attempted a quick mental count and grew quickly tired by the time I had worked my way from Lake Geneva to Williams Bay, adding up 10 associations in that stretch alone. That brings up another item of geographical housekeeping: Linn Township is that area on the lake that extends on the North Shore between the City of Lake Geneva and the Village of Williams Bay. It’s also the area on the South Shore that runs from Fontana on the West all the way back to the City of Lake Geneva on the East. It’s a large municipality, hosting a few dozen lake access associations, some big and others very, very small. Today, just 16 off-water lake access homes are available in Linn Township. That’s a tragically low number, but it’s actually more inventory than most of the other municipalities have, relative to their 2016 sales. 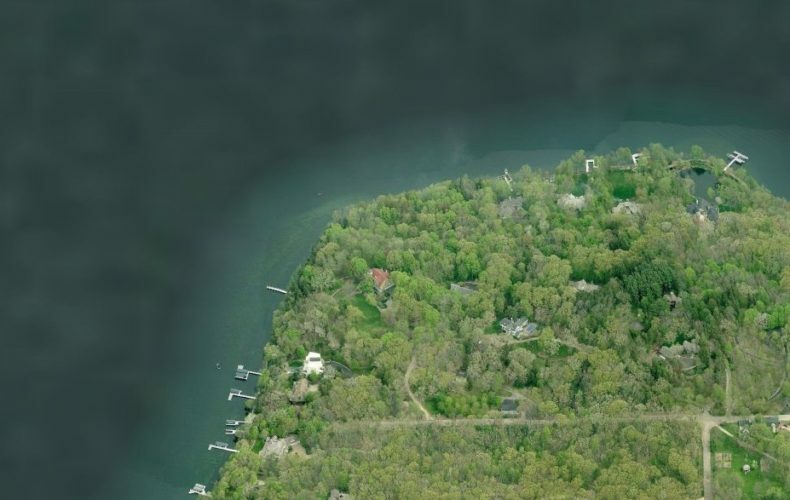 Last year, 12 lake access homes sold in Linn Township, priced from $69k for a cottage in Knollwood (please do not ask me to find you a $69k cottage in Knollwood, because the one that existed just sold), all the way up to an off-water estate in Loramoor that I sold for $1.625MM. Maple Hills had a sale in the $200s, but before I tell you more, I will tell you that I’m not a huge fan of Maple Hills purely because it doesn’t feel like a lake access community. The location, approximately three million miles from the lake, makes it feel more like a subdivision in the woods than a subdivision near the lake, and for that reason, I’m not all that interested. There was a sale in the Lake Geneva Beach Association at $360k, and there were sales in Wooddale (3), the Lake Geneva Highlands (2), Sunset Hills, Forest Rest, and Knollwood (2). These are the sales, but 2016 was more notable for what didn’t sell, rather than for what did. Per the MLS, there wasn’t a single closing in Shore Haven, Lake Geneva Club, Oak Shores, or Sybil Lane. Nothing sold on Aspen Lane, nothing on Black Point, nothing in Glen Fern, nothing in Hollybush, nothing on Hunt Club Lane, nothing in Valley Park, nothing in the Lindens, nothing in Alta Vista, nothing here and nothing there. It was a year of limited inventory, and because of that, the sales totals were anemic. But beyond the lack of inventory pushing the overall number number, there were some notable offerings that didn’t transact. I discussed this at length in my year end review of the lake access market, but as a quick reminder, the market tested that $1.1-1.4MM price range for off-water, older homes that required significant updating and the market responded with a muffled, unenthusiastic, meh. I don’t think the lake access inventory is going to stay limited for too long, but the lack of available inventory in each segment is causing a bit of gridlock for sellers that would-be move up buyers. If you own a nice $600k cottage with a slip and you’re looking to upgrade to an entry level lakefront for $1.4MM, that’s really nice. But if you’re that seller who would be a buyer, you need something to buy. If you can’t find something to buy, then you’re not going to have something to sell, and if you’re not a seller then what am I doing here? This is the problem today, as each market needs a carrot waiting for it in the next market higher, and without that incentive to upgrade the market stalls. That’s what it feels like right now. 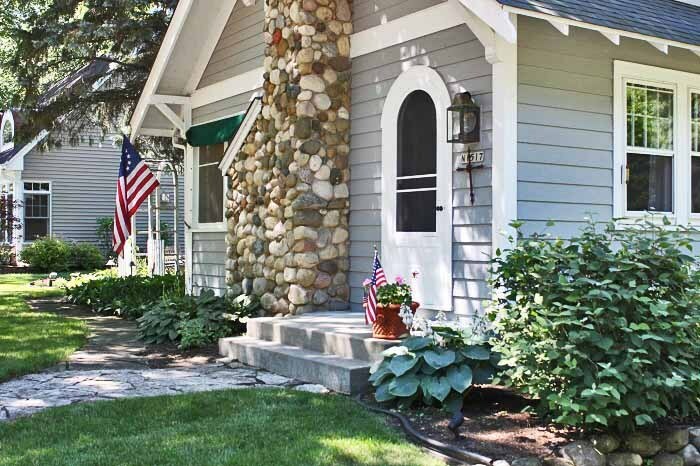 Linn Township is a wonderful municipality in which to own your lake house. The taxes are low, and without adjacent city-centers, the roads feel more rural, more quaint. All of Linn Township functions on private well and septic (or holding tank), so that’s something to be aware of but it isn’t something to fear. I live in a home serviced by private well and septic and I’m almost entirely normal. If you’re looking for a lake access home in Linn Township and your target association doesn’t have any open inventory today, please reach out to me and let me know what you’re looking for. I’ll go find it for you.